A multilateral free trade agreement including both China and India would be a boon for trade liberalisation, but tensions between the two may yet derail such hopes. In January 2017, US President Donald Trump formally withdrew the United States from the Trans-Pacific Partnership (TPP). Without America, the TPP is struggling to stay relevant. The international community has now shifted its focus to a lesser known Asian free trade deal, the Regional Comprehensive Economic Partnership (RCEP). 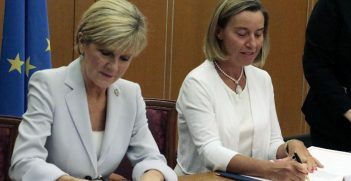 There are hopes that this could be the deal of the Asia-Pacific. However, not only are there many misconceptions surrounding the nature of RCEP, but so far negotiators have missed two deadlines aimed at finalising a draft agreement. Though many factors have contributed to this, the fate of RCEP might well be determined by geopolitical tensions between China and India. Often incorrectly labelled a ‘China-led TPP’, the RCEP is better understood as an extension of the ASEAN+1 free trade agreements (FTAs). RCEP would include the 10 countries of ASEAN (Association of Southeast Asian Nations) and the six nations with which ASEAN holds independent free trade deals: Australia, China, India, Japan, New Zealand and South Korea. 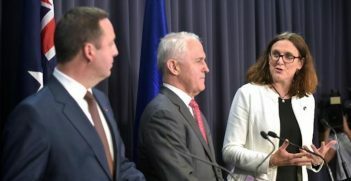 This free trade agreement would encompass approximately 30 per cent of the world’s GDP and 45 per cent of the world’s population. RCEP is aimed at advancing trade liberalisation and negating the ‘noodle bowl’ of conflicting bilateral FTAs by creating a standard for FTAs in Asia. This year marks the 50th anniversary of the creation of ASEAN, and RCEP members hope to conclude negotiations to coincide with celebrations at the end of the year. Many states, including China, have expressed that they want the agreement completed as soon as possible. But progress is slow. China and India, the world’s two most populous nations, have never been friends. 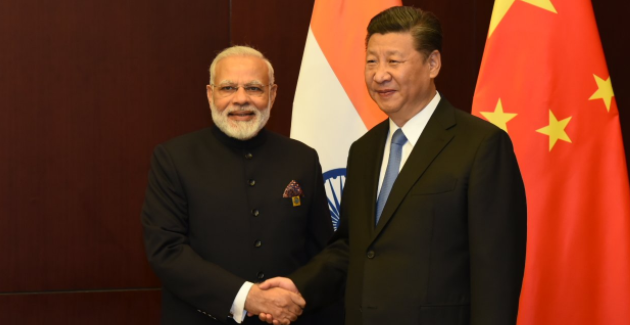 China has increased its pressure on India to join the Belt and Road Initiative (BRI), especially because the Bangladesh-China-India-Myanmar corridor is an important concern for the BRI. However, India has been reluctant to jump on the bandwagon for fear that it would harm local employment and industry, damaging the Indian economy. At the recent BRI meeting, India did not even send a representative, which was a clear message: India does not want to be a part of the BRI. But this has not stopped China’s determination to proceed with the BRI. More recently, China considered taking the BRI through Pakistan-occupied Kashmir, territory hotly disputed with India. This China-Pakistan economic corridor is critical for the BRI, so China cannot permit India to prevent its development. China has offered to rename the corridor to ease India’s concerns, but this might not be enough. China’s decision to sign an economic cooperation agreement with Pakistan’s remote Khyber Pakhtunkhwa province further intensified tensions between China and India. These disputes have added to India’s concern about China’s influence over RCEP. Although China is India’s largest trading partner, there is a large trade imbalance between the two. India’s growing trade deficit with China is already above US$50 billion (AU$66 billion). Through RCEP, China appears to be bargaining for a better tariff deal with India. Because China and India do not have a bilateral free trade agreement, India has proposed having separate free trade tariffs with the different RCEP countries. In 2016, before the sixteenth round of negotiations, India offered an 80 per cent tariff reduction for ASEAN nations, but only a 42.5 per cent reduction for China. China was not satisfied and began pressuring India to set tariff eliminations at 80 per cent for all countries. India will not agree to this as it would not benefit India even if the tariffs were implemented incrementally over many years. Moreover, with little experience negotiating FTAs, India is not accustomed to making compromises. Some argue that this is a sign that India should pull out of RCEP negotiations to avoid bullying by China. 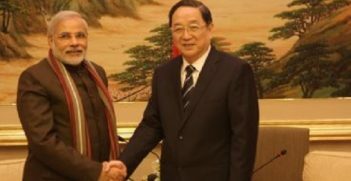 Others say India should view RCEP as an opportunity to mend its bilateral relationship with China. Instigated and led by ASEAN, RCEP notably does not have the stringent standards that the US forced upon the TPP. This arguably makes it easier for developing economies to ratify it and increases RCEP’s importance. Following the 18th round of negotiations in the Philippines last month, it is crucial that China and India work out their differences, lest they risk RCEP following in the footsteps of the late TPP. Zoe Neill is a 3rd-year international and global studies student at the University of Sydney and an intern at China Matters. As free trade agreement negotiations begin, overcoming legacies of foreign policy disinterest will be critical to making the concessions necessary for a substantive and meaningful agreement.